At some point, you may consider placing an elder family member into a nursing home. Whether it is your father, mother, uncle, aunt, or any other loved one, you want them to receive the best care possible. Sometimes, an older loved one can feel like you are passing them along, it is the nursing homes job to take care of them and make sure they are happy and healthy. Unfortunately, some nursing homes abuse and neglect their residents. This is not okay. If you ever visit your loved one and notice new bruises or that they are complaining about how they are being treated, it is something you should look into and take seriously. A lot of nursing home abuse and neglect goes unnoticed. At Eisner, we are prepared to handle this type of case and get the justice you or a loved one deserves. 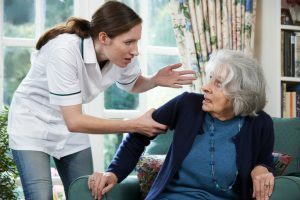 Nursing home abuse and neglect are when patients do not receive the proper care for an injury or illness they may have come across, whether new or old. Nursing home neglect comes in three broad forms, emotional, physical, and medical. Emotional neglect is when the patient is often ignored, isolated, or castigated. Physical abuse is when the patient’s personal hygiene or basic needs are neglected. Less commonly, physical abuse can be when a patient is manhandled and left with bruises or more severe injuries. If a patient is medically neglected, they will be missing treatment and their medical condition has become worse. More specifically, there are a number of different ways a nursing home neglect case could arise. Falls – When a resident is first admitted to a nursing home, the nursing home is required to do an evaluation of the patient to determine the type of care they will need. 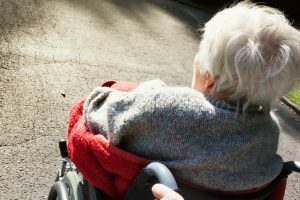 A result of this evaluation could be that the patient needs assistance walking, whether it is a cane, walker, wheelchair, or personal assistance. 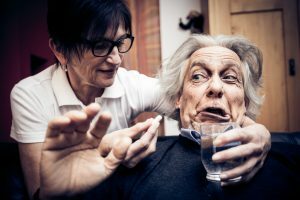 If the nursing home neglects these responsibilities, it may lead to injury to the resident. Pressure Sores – Pressure sores, also known as bed sores, come about when a patient is bed-ridden and does not move for some time. Pressure sores can be prevented by nursing home employees regularly turning the resident, cleaned and dried, nourished, and hydrated. Pressure sores can be a result of unattentive care from nursing home employees. Wandering or Elopement – A patient that suffers from memory loss, commonly due to dementia or Alzheimer’s disease, they need special care. For any patient that suffers from memory loss elopement is a possibility. Elopement is when a resident wanders away from the nursing home. A wandering resident may become lost and may cause themselves or others physical or mental harm. Malnutrition or Dehydration – It is shocking that malnutrition and dehydration are issues that you have to be aware of. In the case of nursing home neglect and abuse, you have to make sure the basics are being taken care of. Every nursing home plan should have a program making sure that the patient eats their meals and has a water intake that keeps them hydrated. Both malnutrition and dehydration can result in pain and maybe even death. Emotional Abuse – Emotional abuse in a nursing home can be more difficult to notice than physical abuse. It can be caused by either verbal or nonverbal abuse. Often staff members will humiliate, terrorize, intimidate, or ridicule patients. The abuse could also come along with the patient being ignored or left out of social activities. Warning signs of emotional abuse are behavioral changes like low self-esteem, lack of eye contact, sudden mood changes, and sleeping patterns. Additional warning signs may be a loss of appetite and refusing to speak. If you notice any of these warning signs, tell the nursing home director and the nursing home psychologist. The nursing home psychologist will be able to evaluate the patient and determine if he/she is being abused. If the patient is being abused, contact an attorney at Eisner Law Firm. It can be difficult to spot nursing home abuse and neglect. Not all nursing home abuse and neglect is physical, the abuse and neglect can also be emotional. One thing that might help in identifying nursing home abuse and neglect is if the resident is being checked on often. This may also help when trying to detect behavioral changes due to abuse and/or neglect. All of these warning signs can be a result of abuse and neglect. If you detect one of the aforementioned signs, it may be time to start asking more questions. If you detect that there is a problem, notify the nursing home director and contact one of our attorneys. At Eisner law office we are dedicated to ending nursing home abuse and neglect. If you or a loved one is a victim of nursing home abuse and neglect, contact us and we will provide a thorough investigation and take legal action. In cases of nursing home neglect, we will not stop working until we uncover the truth behind whether the required care plan was implemented and executed. We are prepared to fight for your justice and to ensure that you will receive the highest compensation plan possible, as well as the appropriate care.